I can’t believe Labor Day weekend is already here! I hope everyone had a wonderful summer! This time of year always feel like the time to get serious and get back on track. The first place to start, for me, is with skincare. 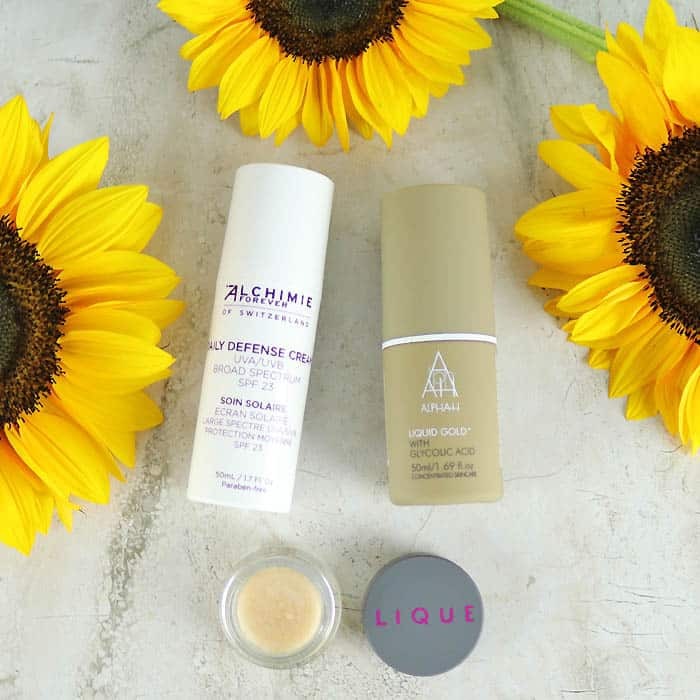 I like to incorporate some new products into my skincare routine at the end of each summer as a way to detox from the sun and sand of the previous months. 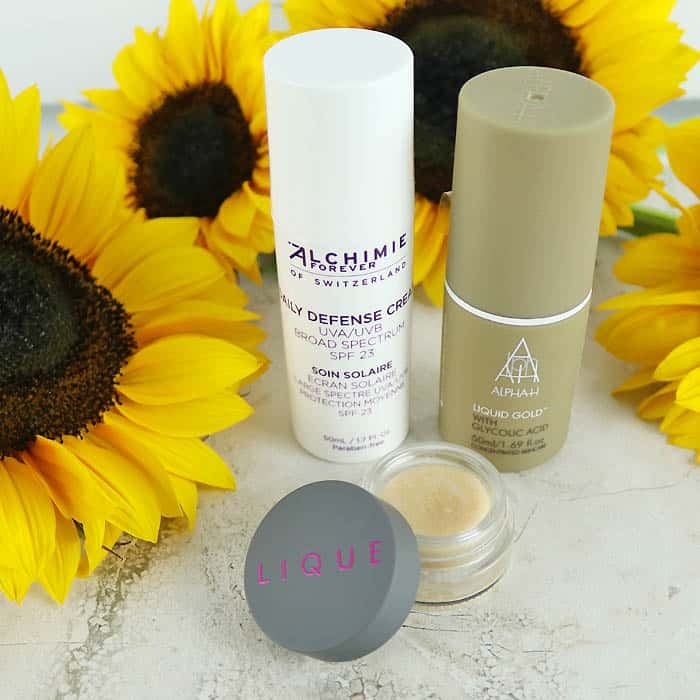 I always make sure to use a Broad Spectrum SPF, even in the colder months. 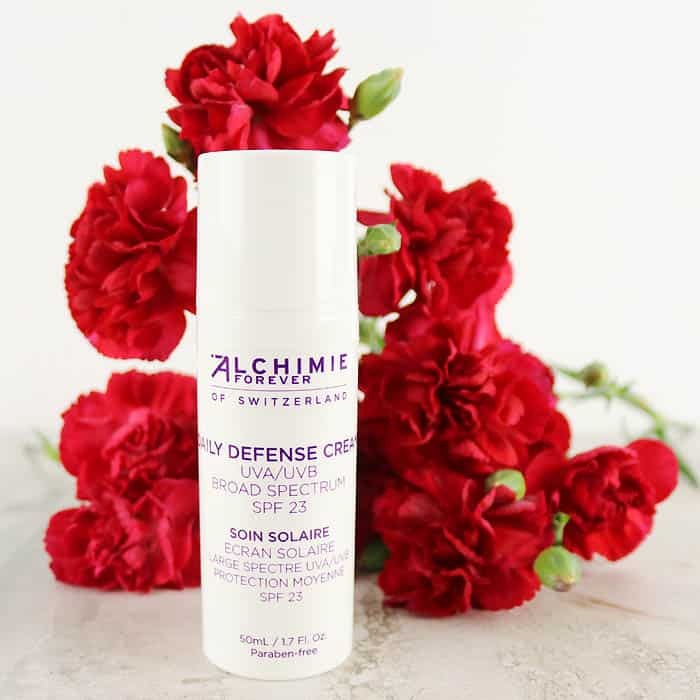 I’m a big fan of Alchimie Forever Of Switzerland’s skincare line. I’ve mentioned my love for their Brightening Moisture Mask several times before. 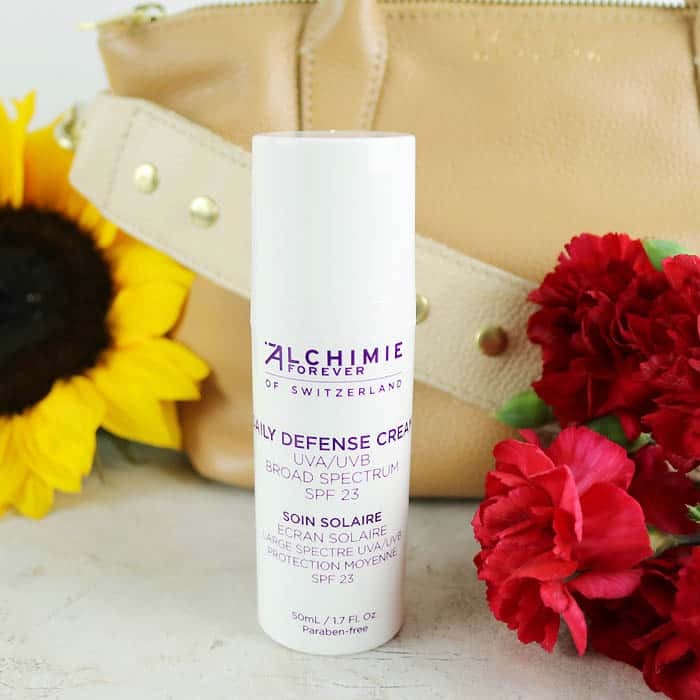 This Daily Defense Cream has a fresh, clean scent and it’s light enough to wear under makeup. 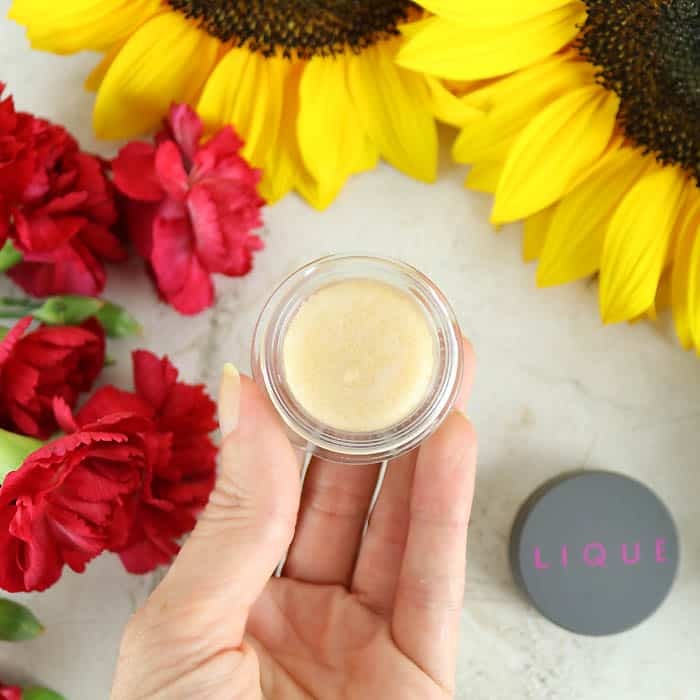 This cream also doubles as a moisturizer and anti-aging treatment. It’s like 3 creams in one! While I always remember to take care of my skin, my lips are often neglected. 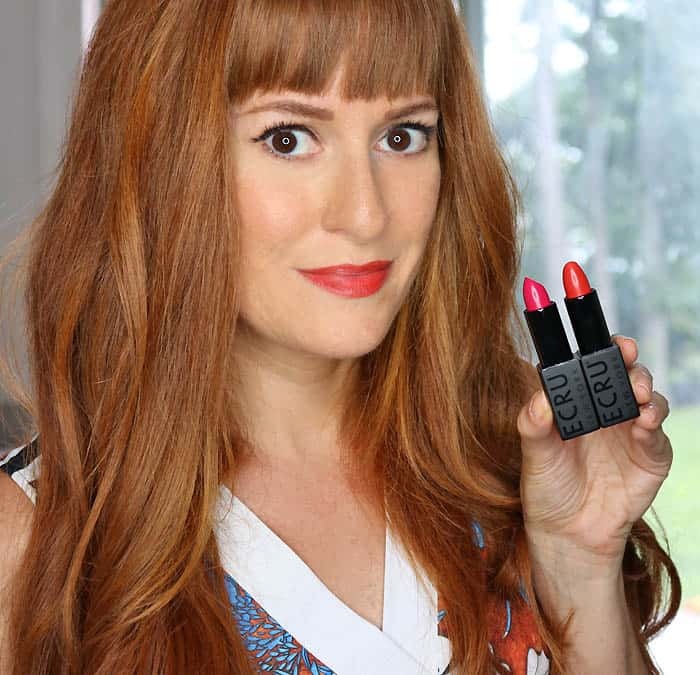 With regular exfoliation, my lips are smoother and lipstick goes on more evenly. 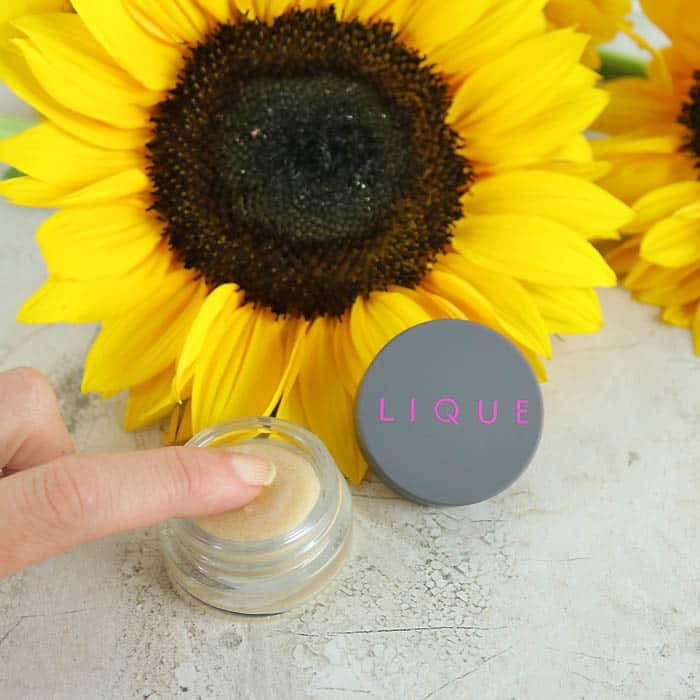 Everything from the Lique Lips collection smells good enough to eat and this scrub is no exception! It contains a blend of sugar, sea salt and coconut oil. This conditioning scrub smells and feels so nice that applying it seems like a treat, not a chore. This little products boasts that it can firm and exfoliate your skin in just one application…and it does! The formula is very thin- like water and it has to be applied using a cotton swab, rather than your fingers. It contains Glycolic Acid and Licorice Root Extract which aid in cell turnover. 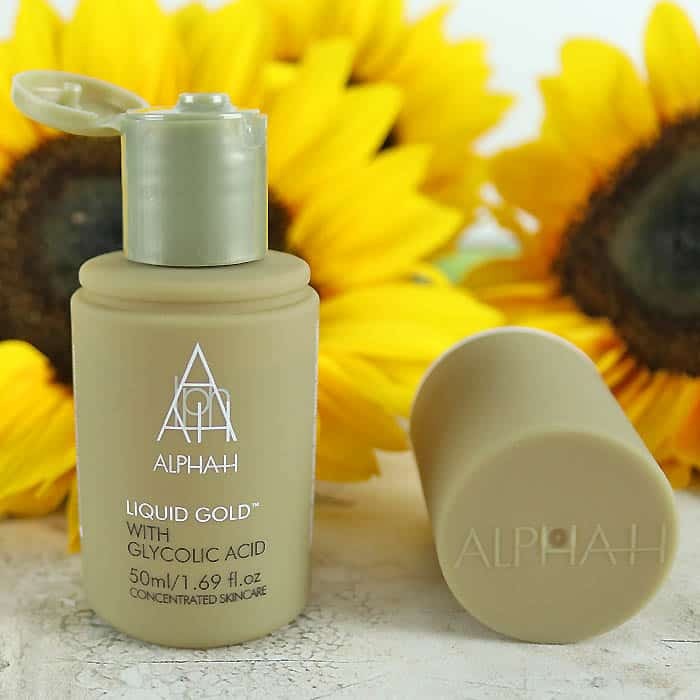 It tingles when you first apply it, but the sensation goes away quickly (note-If you have very sensitive skin, you might want to avoid Liquid Gold). It made my skin feel tight (not in a bad way) and smooth. I’ve been using this every other night and it’s a great addition to my skincare routine. Good products to use in your daily life. This makes your skin good and very glowing too. You can use these products on your daily routine. Good to have these products in my makeup kit. A part from this I'm using Revitol Anti-Aging Moisturizing Cream. This cream firms and lifts the skin targeting wrinkles while keeping the skin hydrated all day long.